Walnut baseball returns to title game: Walnut High School senior Jacob Garcia had a plan when he stepped into the batter’s box in the bottom of the sixth inning of the Mustangs’ CIF Southern Section Division 3 semifinal game with visiting Paso Robles. The game was tied 2-2 with two outs. It was a plan formulated in the dugout with Mustangs head coach Paul Acosta. Garcia proceeded to hit a line drive double to right field that scored Andy Rodriguez with the eventual game-winning run as the Mustangs defeated the Bearcats 3-2 on Tuesday. Walnut (24-9) will play Righetti, who defeated Paraclete 1-0, either Friday or Saturday at UC Riverside. The CIF-SS office will release the schedule on Wednesday. Nogales’ finals bid falls short: Tahquitz junior pitcher Jahred Butler, a Cal State Fullerton commit, had come out of the bullpen most of the season. But Titans pitching coach Jeff Prickett talked coach Ron Savage into starting Butler against Nogales in Tuesday’s CIF Southern Section Division 4 semifinal, and the rest is history. Butler battled five innings, and Brendon Dixon closed out the final two to lead Tahquitz to a 5-3 victory and trip to Friday or Saturday’s championship at UC Riverside against Grace Brethren, a 7-1 winner over Victor Valley. For Tahquitz (24-5), it’s the school’s first trip to the championship after reaching the semifinals four times, and losing in the semifinals last year. St. Lucy’s suffers tough 1-0 loss: There has been a reason pitchers have been very careful throwing to Camarillo High School’s Savanna Salyer-Kovacs. When the senior finds a pitch she likes, it more than often ends up as a base hit. It took three at-bats and nearly a dozen pitches for her to find the right pitch on Tuesday afternoon. St. Lucy’s Dakota Casper finally threw the ball inside and Salyer-Kovacs sent a 3-1 pitch over Glendora High’s left-field fence to send the Scorpions to the CIF Southern Section Division 2 final with a 1-0 victory. Wilson softball’s Cinderella season ends: The long, improbable run through the CIF-Southern Section Division 6 softball playoffs came to an end for the Wilson Wildcats on Tuesday afternoon. The Wildcats (17-11-2) dropped a 9-2 decision to top-seeded Sierra Canyon in a game played at Los Altos High School because of a swarm of bees at the Wildcats home field. The Wildcats, who finished third in the Valle Vista League had to win a wild-card game then three consecutive playoff games to advance to the quarterfinals for the first time since their lone CIF championship in 2000. 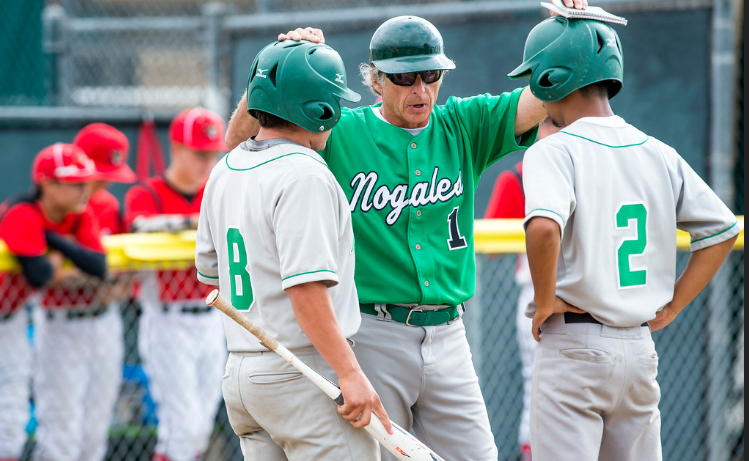 Nogales advances to semifinals for the first time since 1978: LA PUENTE >> Nogales High School was always tabbed as the gutty and gritty Nobles, who despite fielding a solid program couldn’t quite catch a break in the postseason.But no more. Jonathan Guardado tossed a two-hitter and his brother Juan drove in the go-ahead run to lead host Nogales to a 3-1 victory over Capistrano Valley Christian in a CIF Southern Section Division 4 quarterfinal on Friday. The Nobles (27-2), who also got six strikeouts from Jonathan Guardado and two hits each from Joe Robles, Mike Quijano and Chris Guardado, advanced to the semifinals for the first time since 1978. They will host Tahquitz, a 3-2 winner over Wilson, on Tuesday. Capistrano Valley Christian, getting a RBI from Andre Antone, finished 22-9. In a quirk of fate, Nogales’ last appearance in the semifinals also followed the Nobles winning a Montview League title, like this season after moving over from the Valle Vista League. Paso Robles at Walnut, 3:15 p.m.
Tahquitz at Nogales, 3:15 p.m.
Wilson in semifinals for first time since 2000: Wilson’s softball team continued its late-season surge with a 6-0 win over fifth-seeded Harvard-Westlake in a CIF-Southern Section Division 6 quarterfinal playoff game Thursday afternoon. The Wildcats will host top-seeded Sierra Canyon in a semifinal game Tuesday at 3:15 p.m. It will be their first semifinal since they won a CIF-SS championship in 2000. Wilson (17-10-2) broke open what had been an old-fashioned pitchers’ duel in the bottom of the sixth when it sent 11 batters to the plate and scored all of its runs. 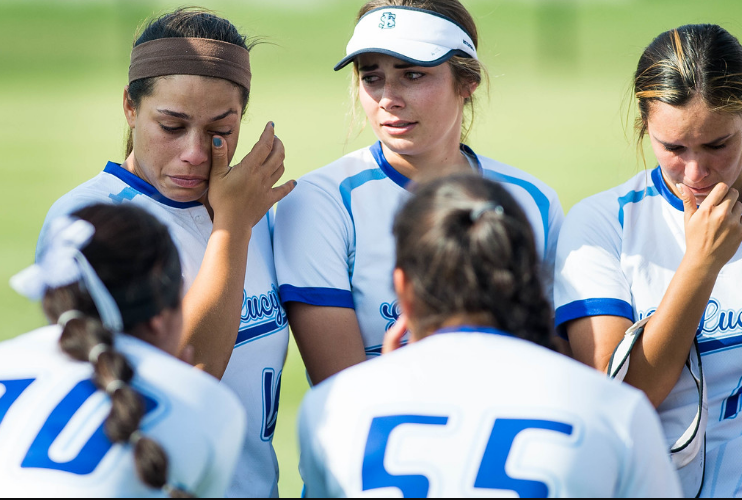 Errors cost Charter Oak: First-year Charter Oak softball coach Brittany Saucedo’s mantra to her squad all season was simple; to execute the little things for a complete game. 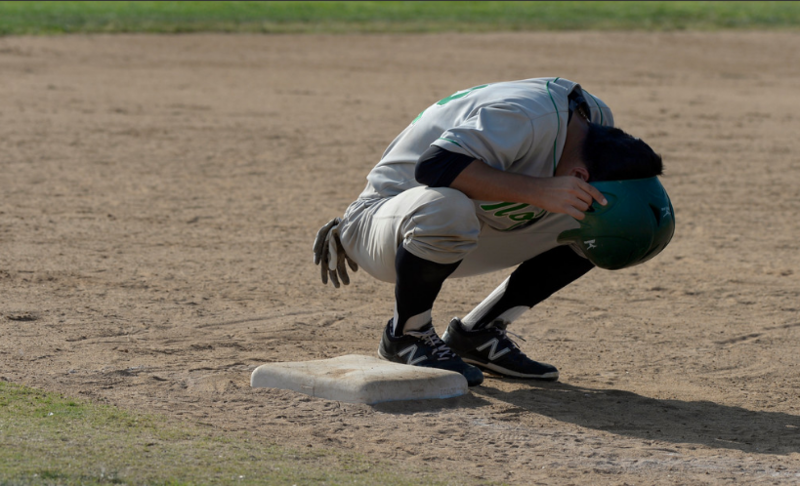 The Chargers learned the hard way on Thursday what happens when they don’t execute the little things.Visiting Dana Hills defeated Charter Oak 12-5 in a CIF Southern Section Division 2 playoff game. In the first three innings, Charter Oak committed two errors that led to nine Dolphins runs. Los Altos loses close one: Ayala High School softball coach John Ameluxen has enjoyed his 2017 season, but with five freshmen and two sophomores starting for a team that finished in third place in the Palomares League, what could he expect for the CIF Southern Section playoffs? For the first time since winning the CIF-SS title in 2010, Ayala advanced to the semifinals with a 1-0 victory over visiting Los Altos in a Division 3 quarterfinal Thursday. Ayala (24-10) will play at Hart on Tuesday. South El Monte’s big season comes to an end: The South El Monte High School softball team’s dream postseason ran into Lilly Robles on Thursday afternoon and the senior ace was all too happy to give the Eagles a rude wake-up call. 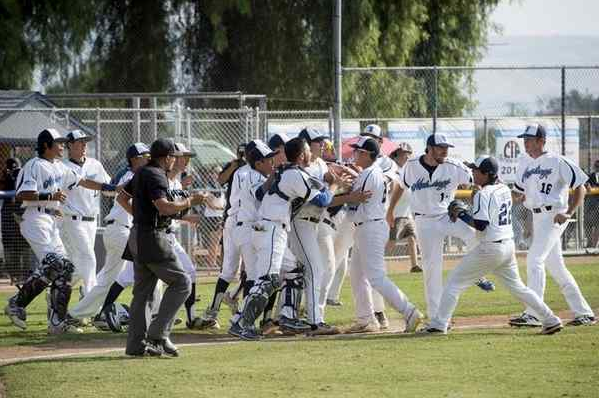 Robles piled up 13 strikeouts and gave up only three hits to lead Heritage Christian to a 11-1 win over host South El Monte in the quarterfinals of the CIF Southern Section Division 5 playoffs. The Warriors will play Godinez in next week’s semifinals. Incoming freshman quarterback Zachery Camarena is enrolling at Bishop Amat. The Duarte product looks great his 13-year-old season on pop warner and could be the Lancers’ next big thing. 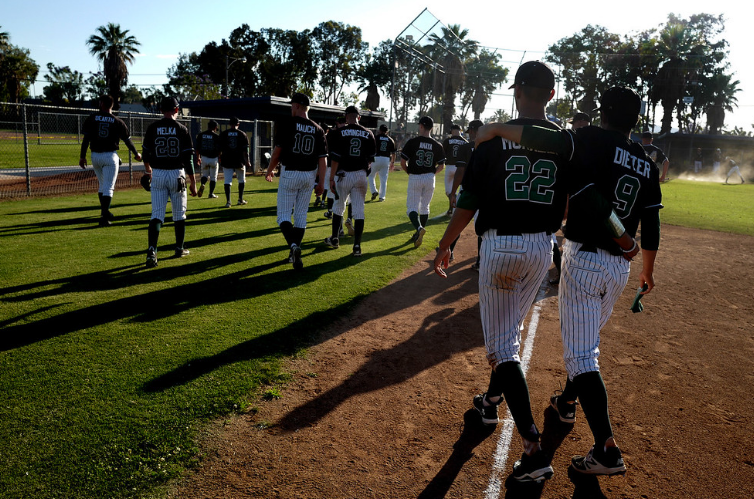 South Hills baseball loses a stunner, Bishop Amat falls; Glendora, Walnut, Nogales, Wilson, Gladstone all win. South Hills blows 8-0 lead: South Hills (22-9), the No. 4 seed, was sailing along leading, 8-2, behind junior pitcher Brandon Dieter, who struck out eight and allowed only two hits. The junior was relieved in the fifth inning J.W. North (20-12) scored twice in the inning and eight in the sixth to advance to the quarterfinals against Vista Murietta on Friday. South Hills was led by senior Jacob Dominguez with two hits, a run and an RBI, while senior Zack Bromstead had a home run and scored twice. Senior shortstop Jacob Amaya was 2 for 4 with a run and a stolen base. South Hills took a 2-0 lead in the second on the home run by Bromstead and Deiter’s RBI single. The Huskies took an 8-2 lead when they added six runs in the top of the sixth. WATCH THIS: Murphy not a happy camper. Amat comes up a run short: Bishop Amat coach Joe Hoggatt did what every coach would do in the sixth inning of the Lancers’ second-round CIF Southern Section Division 1 baseball game against visiting El Toro.In the bottom of the fifth, Bishop Amat’s Jason Gonzalez had just crushed a two-run homer over the left field fence to tie the contest at 2-2. Sensing that the game had become a two-inning contest, Hoggatt replaced his starting pitcher Blake Archuleta with ace Isaac Esqueda. In his last four games, Esqueda had an earned run average of 0.03. Instead, it was El Toro’s Tyler Lasch that connected on a ground-ball single to left field that scored Erik Tolman with the eventual game-winning run in the sixth inning to help lead the Chargers to a 3-2 victory on Tuesday. Glendora 3, Rio Mesa 2 – Brock Welte’s squeeze bunt in the bottom of the seventh inning of the Division 2 second-round game drove in the game-winning run for the Tartans (26-6). Dylan Diaz pitched four innings of no-hit ball, Bryce Wooldridge went 2 for 3 with an RBI and Jake Gonzalez had an RBI. Glendora will face St. John Bosco in the quarterfinals on Friday. Wilson 1, Santa Ynez 0 (9 innings) – Mat Orozco drove in the game-winning run and Matt Rodriguez pitched eight shutout innings, striking out 10, for the Wildcats (18-8) in the Division 4 second-round victory. Rodriguez has not given up an earned run in 31 consecutive innings, dating back to April 27. Wilson will face Tahquitz in the quarterfinals on Friday. Gladstone 3, Joshua Springs Christian 2 – Aaron Karbowski pitched a three-hit complete game, striking out 10, for the Gladiators (14-10) in the Division 7 second-round game. Andrew Amezquita went 2 for 4, knocking a pair of runs and Aaron Cervantes went 2 for 3 with an RBI and a run scored. Gladstone will face Arrowhead Christian Academy in the quarterfinals on Friday. St. Lucy’s shocks unbeaten Gahr, 10-4: The Regents (18-6) upset the No. 1 seeded Gladiators (26-1), handing Gahr its first loss of the season in the CIF Southern Section Division 2 second-round game. Audrey Sellers hit a grand slam and Dakota Casper pitched a complete game for St. Lucy’s. The Regents will host Villa Park in the quarterfinals on Thursday. For the Regents, the game plan going into Tuesday’s matchup was to keep the Gladiators guessing. Even when Gahr backed Casper into a corner, she did not falter under the pressure. Although Gahr had not lost entering Tuesday, St. Lucy’s approached the Gladiators like they were just another opponent. Wilson 3, Santa Paula 1 — Elena Bahimtewa pitched a complete game, striking out four, improving her record to 8-3 and went 2 for 3 with a triple for the Wildcats (16-10-2) in the Division 6 second-round victory. Manelle Meono went 1 for 1, with a triple, a pair of walks, two runs scored and three stolen bases and Mia Ayala drove in the go-ahead run for Wilson. The Wildcats will face Harvard Westlake in the quarterfinals on Thursday. Salgado’s grand slam lifts Charter Oak to victory: There’s no sense playing with words, Charter Oak freshman Morgan Salgado is a beast at the plate, and she delivered like one in the third inning against Upland on Tuesday, belting a two-out grand slam to center that turned a two-run deficit into a two-run lead, and was the difference in the Chargers’ 8-7 victory over Upland in the second round of the CIF Southern Section Division 2 softball playoffs. Charter Oak advances to Thursday’s quarterfinals where it will host Dana Hills, a 1-0 upset winner over third-seed Rio Mesa. The home run was Salgado’s fifth to go with her 24 RBIs. Los Altos keeps on rolling: Dominant is the only way to describe the performance of Savannah Diederich on Tuesday afternoon. The Los Altos junior pitched a two-hitter, struck out 13 batters and knocked in two runs with a double and a home run to lead the Conquerors to an 8-0 win over Crescenta Valley in a CIF-Southern Section Division 3 second-round softball game. 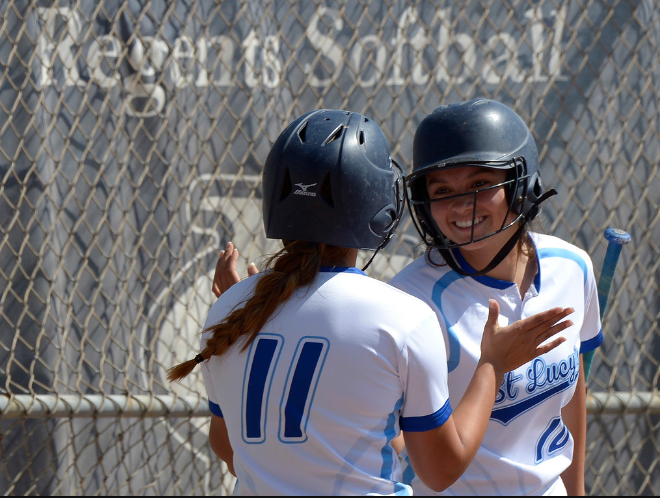 The third-seeded Conquerors (24-6) will travel to Ayala for a quarterfinal game at 3:15 p.m. on Thursday. It is the Conquerors’ first appearance in the quarterfinals since 2009.